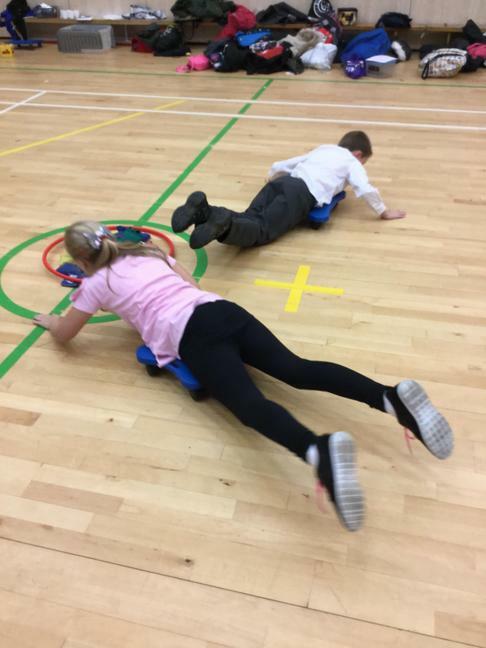 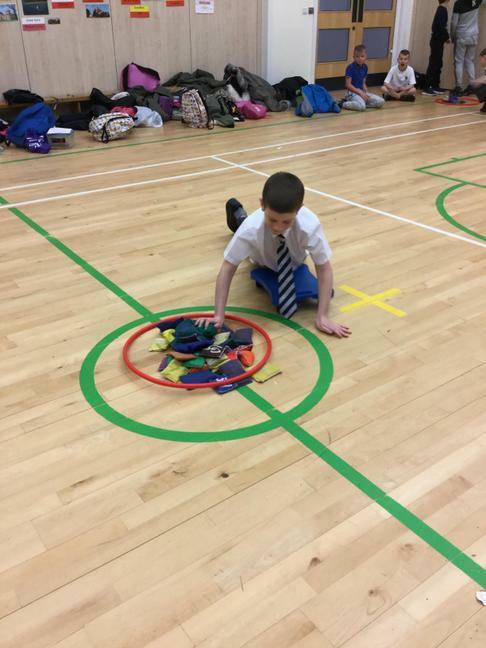 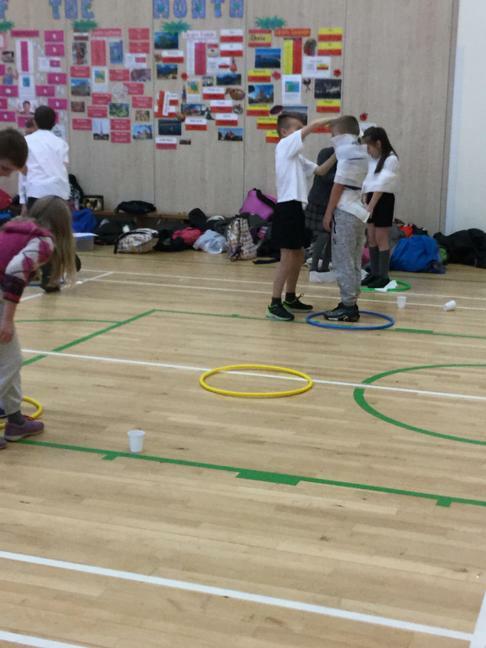 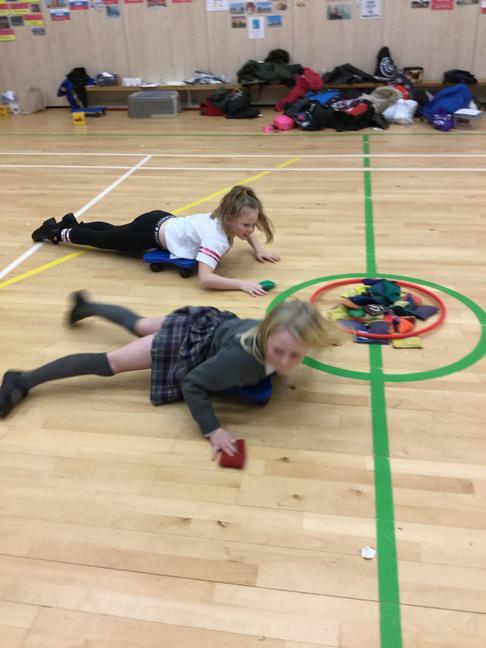 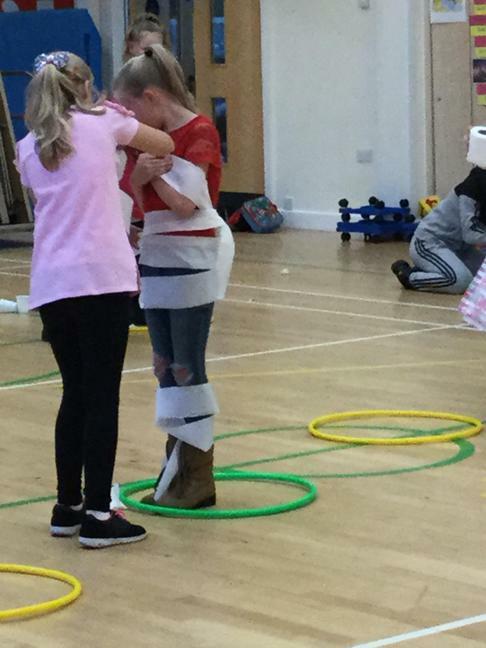 Playworkers from years 5 and 6 give up their lunchtimes one day a week to play with children from KS1 and foundation. 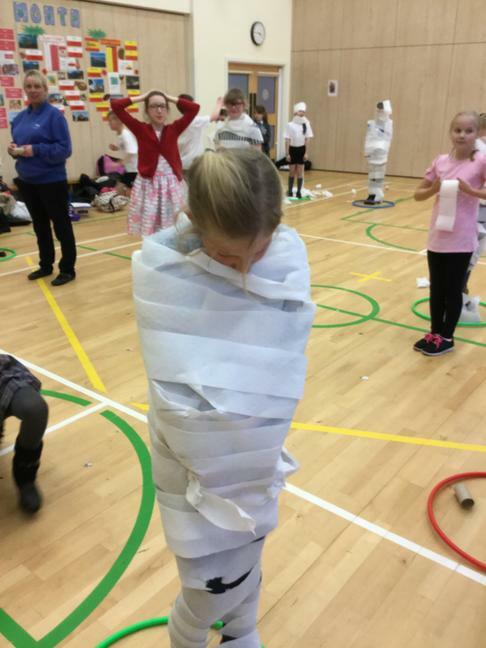 As a thank you and reward they were invited to a Christmas party on Mo day 18 th December 2017. 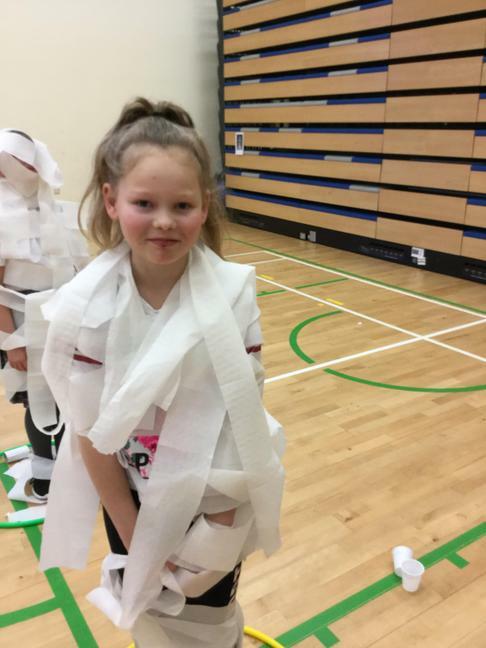 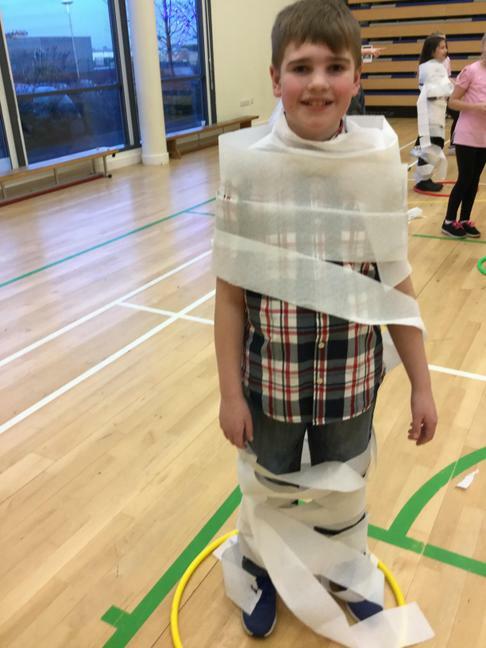 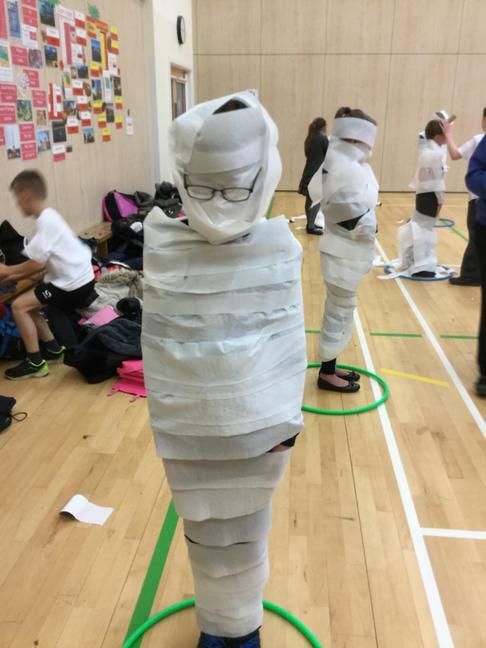 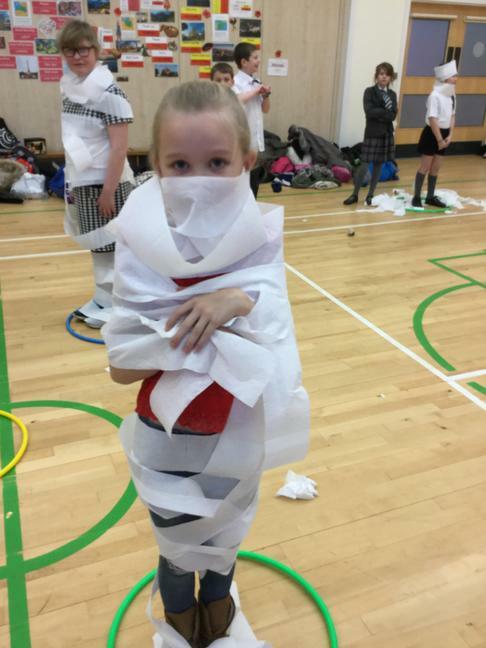 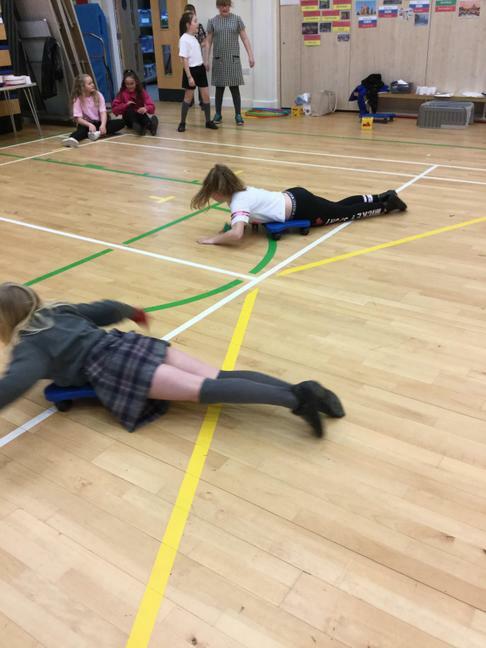 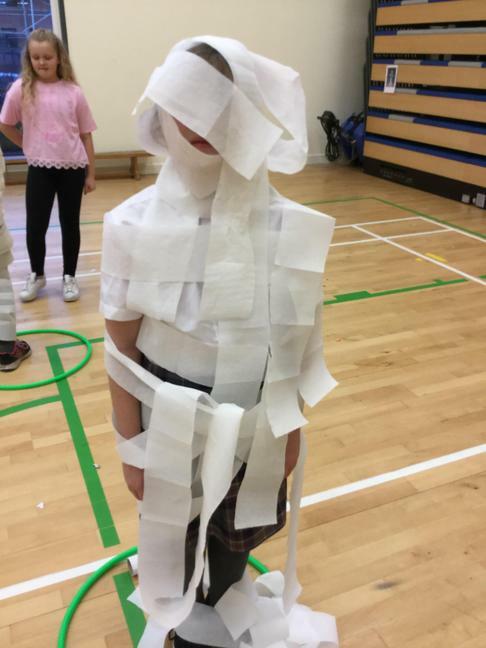 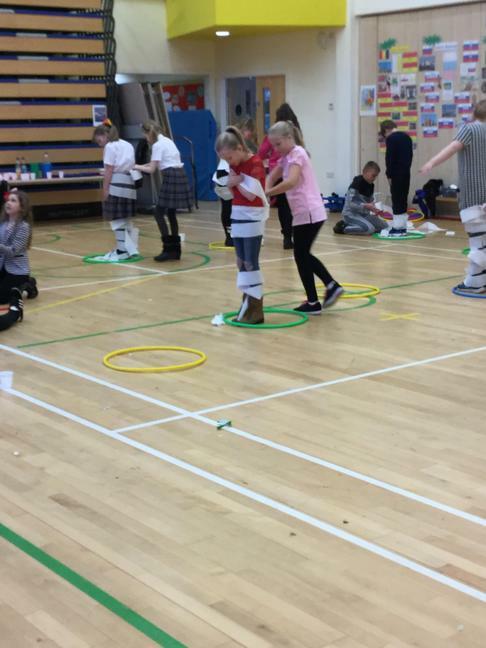 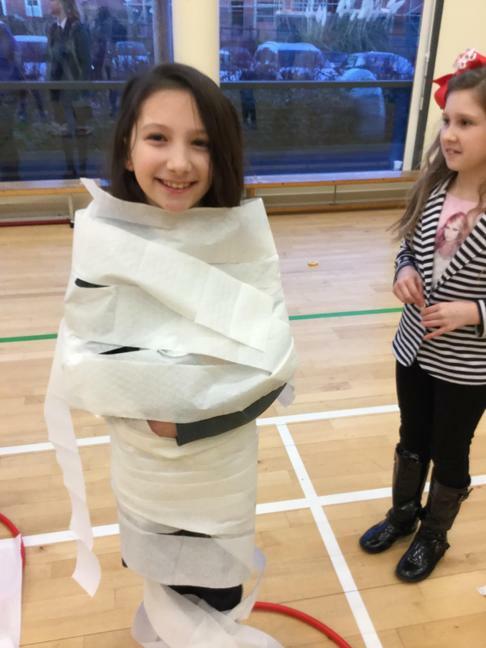 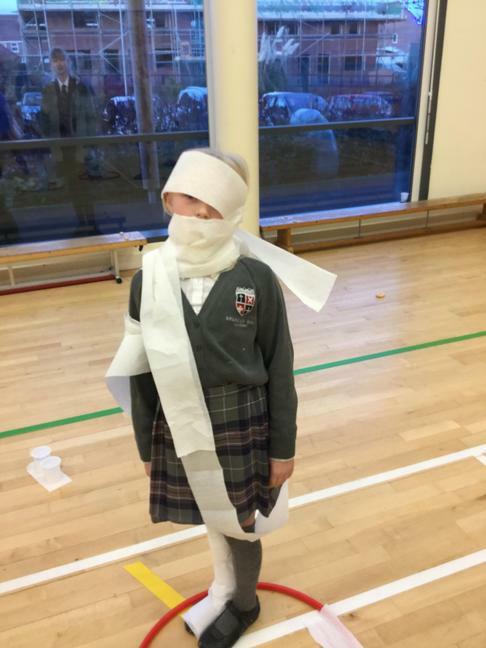 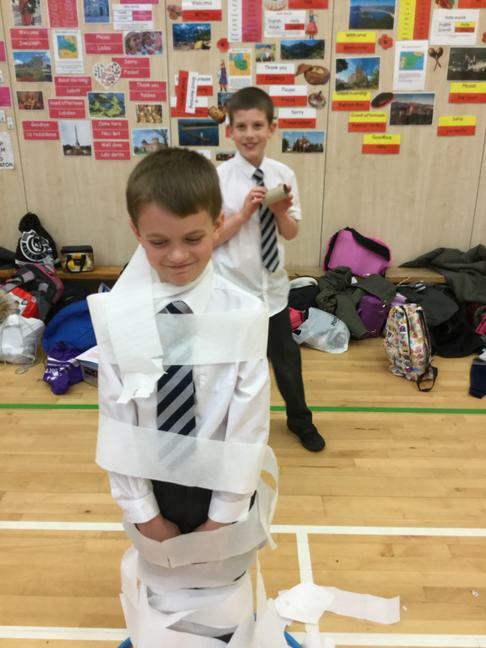 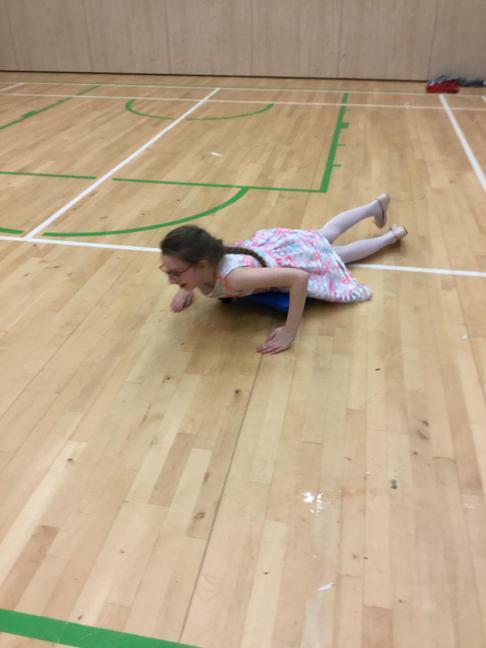 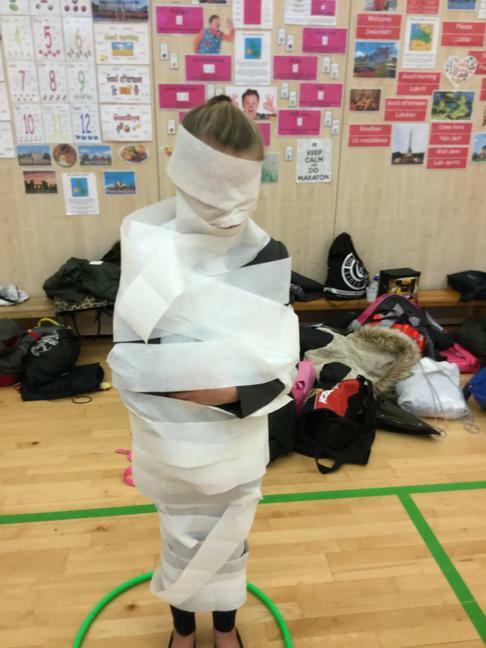 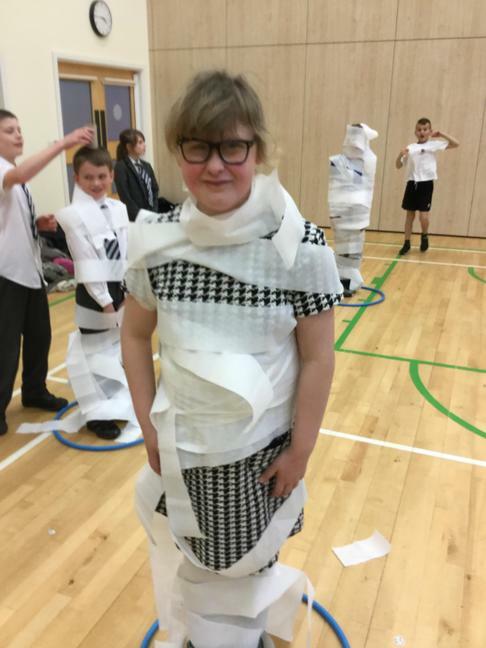 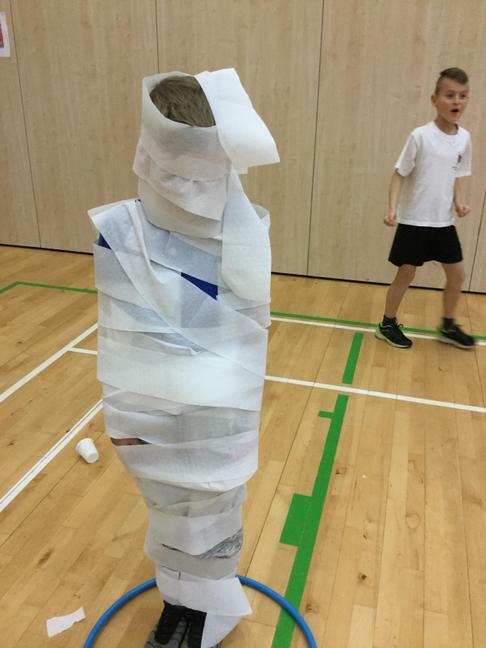 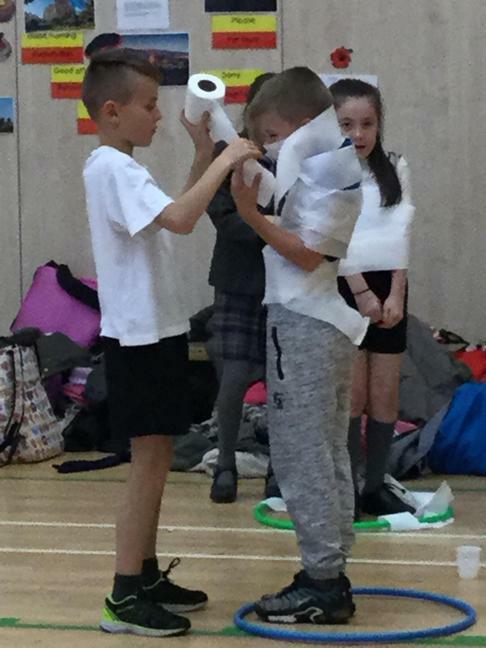 To start with they got into pairs, they were given 1 toilet roll per pair and had the length of a song to wrap their partner up and make them look like a mummy. 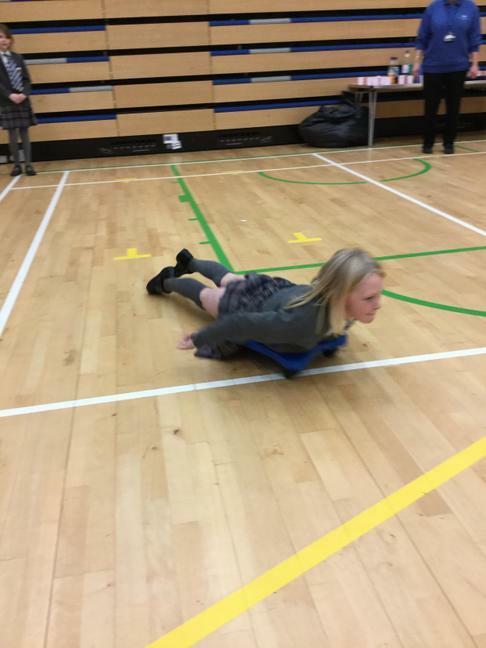 Jack Herrick and McKenzie Brooks were the winners, see the photos below. 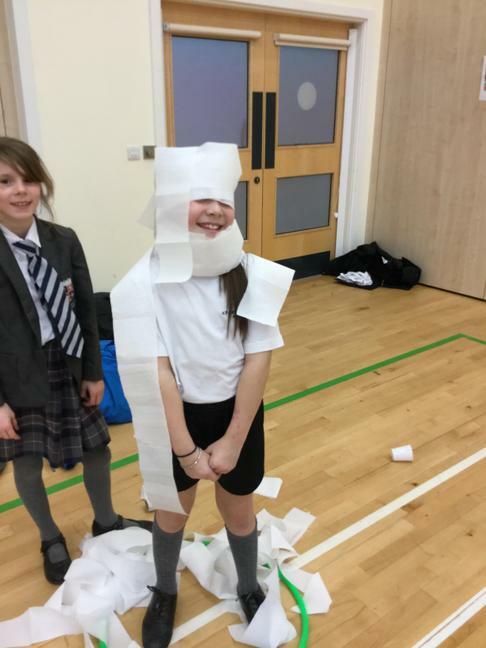 Everyone had a great time and enjoyed their reward.